When Anthony Romero joined the list of guest speakers for the President’s Lecture Series at UM, the dean of the School of Journalism, Larry Abramson, asked for the honor of introducing him. Romero has been the executive director of the American Civil Liberties Union (ACLU) since September 2001, and Abramson had spoken with him over the years while working on stories for NPR. The ACLU also defends freedom of speech issues, which makes them handy resource for journalists. Media coverage of the ACLU’s projects shows that the benefits can go both ways. Yet his motive for talking about so many specific people remained the same. “I wanted to talk about real people and use their stories to paint a picture of what’s wrong and what needs to be fixed,” he said. However, while the ACLU takes a stance on the issues, it doesn’t take a stand on political parties. Romero said that working across political boundaries and tackling issues from multiple viewpoints was crucial to their progress. Romero warned the audience to be wary of whistle-dog metaphors like ‘act tough on crime’ that can imply situations are intractable or that something is inherently wrong with the individuals swept under those labels. 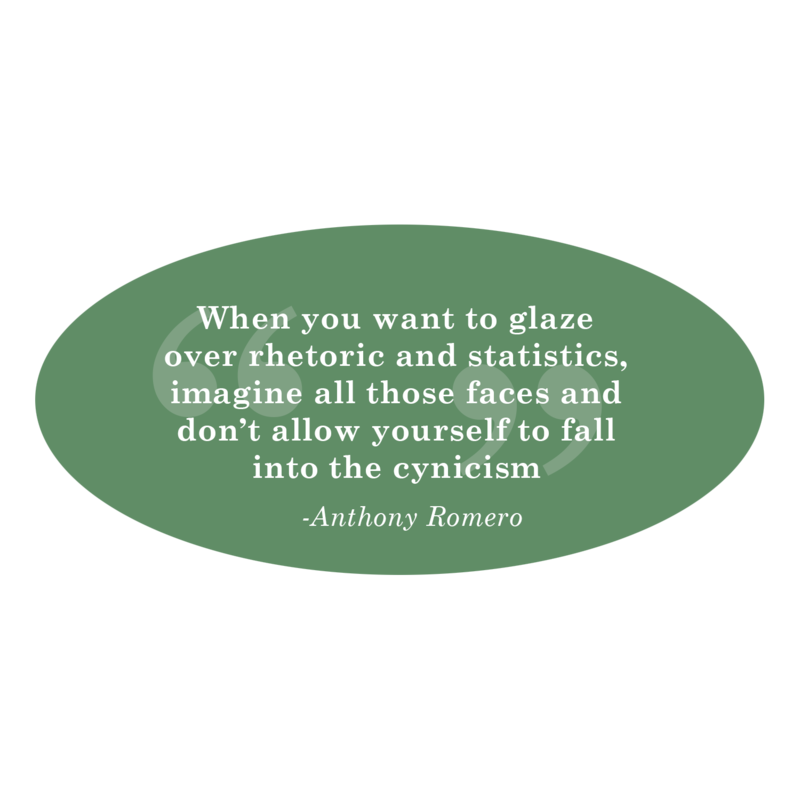 “When you want to glaze over rhetoric and statistics, imagine all those faces and don’t allow yourself to fall into the cynicism,” Romero said.